Is There Abuse in My Relationship? ¿Qué es la violencia domestica? ¿Hay abuso en mi relacion? 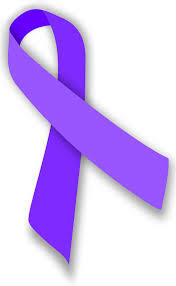 Victims and survivors of domestic violence receive individual counseling by appointment. The individual counseling focuses on personal safety, personal growth, development, and improving interpersonal relationships. Participation is voluntary and available to residential and non-residential clients. No fees for service. Group counseling for victims and survivors of domestic violence and provides a safe environment to process emotions, share experiences, as well as become educated on the dynamics of domestic violence. The group sessions emphasize safety, learning how to take care of one’s self and assisting their children in the healing process. Participants must be female, and 18 years of age or older. Sessions are available to residential and non-residential clients. No fees for service. Children’s counseling provides a variety of therapeutic services suited to meet the developmental and emotional needs of each child. Play therapy, individual, and group counseling are offered to help children process and heal from domestic violence. Services are provided to every child at the Battered Women and Children’s Shelter, as well as any child needing therapeutic services at our Broadway office. No fees for service. Legal representation through FVPS is generally focused in the areas of family law such as Protective Orders, Divorce, Child Custody, Modifications, and Enforcements, or a combination of those services. The legal services provided by FVPS are free for the eligible applicants. Applications for legal services with FVPS must be completely filled out. It is also important to include any relevant documents with your application, such as, police reports, photos of injuries, court orders and documents, any documents from Child Protective Services. Once your application has been received and reviewed by the Department, you will be notified whether your application has been accepted. In keeping with FVPS’s mission of promoting long-term independence and complete self-sufficiency, adults and children continue to receive counseling and case management services while participating in the Transitional Housing Program. This program supports the survivor in developing, skills such self-sufficiency, in order to achieve a new beginning for a healthy future.